It's Halloween! A day that escaped my notice until I got to work and realized some people dressed up. And I even brought a costume from my parents' place to wear. Dang it. Why couldn't I have remembered my pumpkin earrings at least? I blame the fact that I celebrated on Saturday. That I woke up thinking must dress warmly today. And that I'm dreading Nov. 1st. Well, not dreading. 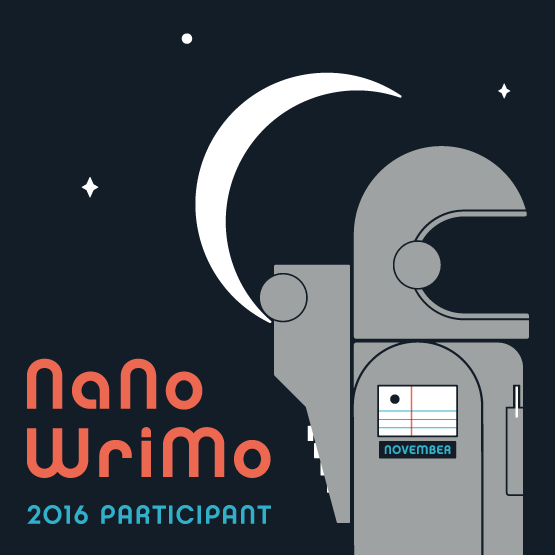 NaNo always gets my blood pumping and I'm excited to get going. But I wanted to wrap up a chapter of a different project before hand and that's not happening. Nor did I clean my house like I wanted, or participate on the forums, or even go grocery shopping so that didn't cut into writing time this week. I'm gonna try and push through and do all that I can tonight - grocery shopping, dishes, and maybe that chapter, but I'm not super optimistic.